2015 Guide Trips for Puerto Montt, Puerto Varas or Coyhaique/Aysen $400 for 2 anglers for one day. 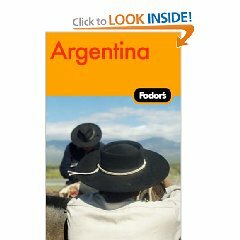 Look for our updated guide section on Fly Fishing Argentina due out on July 6th, 2010. The pleasures of floating a pristine Patagonia river on a clear sunny day! Hey folks we love this place. 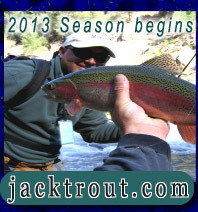 February and March are great months to come visit and fly fish Chile. 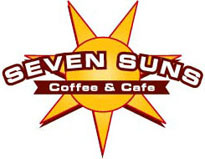 We hope to see you down here sometime. Let’s do it folks!~ We’ll rope it down the hill…..
Wow! What a canyon full of adventure and fly fishing gravel bars. Philipp here from Germany, hooking into a hard fighting McCloud Rainbow on a Stimulator size 12 on the surface. Dragon fly shedding its exo-skeleton and flying away to maturity…. Phil now so hot goes for a swim and plays trout himself! There’s the cast to the bank…Phil trout see’s it! The take folks on the surface! A Pancora for trout munching pleasure! A perfect day for a summer river swim in Patagonia Chile. On a colder day a nice trout was caught by Johann our friend and client from Austria. Here on Monster Lake trout grow large on shrimp and being that it’s all catch and release the trout grow to enormous proportions! Double your pleasure, chew double mint gum. Johann with a real Smith & Wesson…..
Keep your tip up folks, you can never go wrong! Carola and I got married officially in Los Lagos, Chile. We actually plan to have 2 more weddings in California and Chile for our families and friends. This was very special day for both of us! Then we went to Valdivia afterwards for food and drink, where I had a very special surprise for Carola! A band to serenade us while we had great food and drink. Carola has her own song! Check it out folks…. 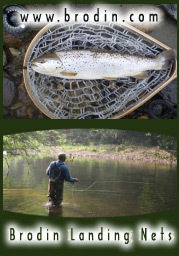 explore fly fishing over the hill from us. It was snowing on top of the Andes where we crossed the border. Beautiful Lakes where we drove towards San Martin de los Andes on the famous 7 Lakes Road. Driving into San Martin de los Andes we could see it was a very special town, somewhat like Mount Shasta, California. Cool – very cool place! We bought our fishing licenses here…. We bought mainly pinot’s and malbec’s…… All were quite good ineed. our viewers. Restaurante in San Martin de los Andes…. A great time in the history of the Trout Chronicles, wouldn’t you say…. Oh yea! No one makes a steak better than the Argentines! Save room for dessert folks! Volcano Lanin is a beautiful site! Damonte for all his help and information regarding Argentine Rivers. Rio Malleo – A fly fisherman’s dream river! I caught 12 trout in my first hour here! All on hoppers is ok by me! Meanwhile the ants keep marching on! prevail and so does fly fishing tourism. Carola with a hook up on her own! Argentine lunch by the water sure was a nice touch! The Rio Malleo in a private section, call us for information…. Near dark now another fish on! Catching these size fish on hoppers is a real hoot folks! every other category that promotes economic growth and tourism. The high desert beauty of Argentina, another reason to visit here. 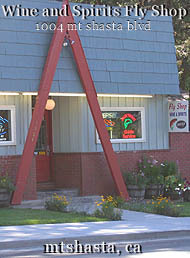 This is a great restaurant to visit in San Junin de los Andes!! drive. Very easy border crossing and less time. Rainbows are hard fighting here! River here in Chile is even better. having you and look forward to next season. 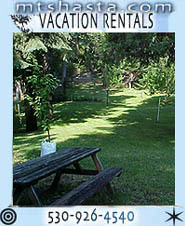 I came across your MT Shasta website and I was hoping to place some advertising for our by-owner rental properties. These rentals are great for families and I think we’d be a great resource for you visitors and I’d appreciate finding out more on how I might make this possible. My name is Francisco Obreque and I am currently working on a project for the Chilean National Service of Tourism (SERNATUR), a governmental institution concerned with promoting the tourism and best quality of services in our country. The aim of the study is to conduct phone interviews to people from different countries who work with tourists who visit Chile, in order to find out their perception about our country, the things they search for in Chile, the reasons that make Chile an attractive destination, and so on. The interview takes about 20 minutes. This e-mail is an invitation for you to take part on our study, so we would much appreciate if you can help us. Please let us know if you have time to participate in the study, and if so, when it would be best for you, as well as a phone number where we can reach you. In case you do not have time to participate, we would be grateful if you can let us know too. Hola Jack! How are things? Are the rivers doing okay up there? I am just leaving Argentina for Futaleufú and Lago Yelcho. Do you have room for us to kill off the two days of fishing the last week of Feb or the first week of March? I had a great time down here, thanks again for the advice. I´ve attached a couple of pix from Arroyo Pescado – great fishing! Visited Río Pico also but the weather was hellish. Still, I met a couple of Brits out flyfishing and we had a good time. Be well, and my best to Carola also! Howdy everyone. We are stepping out into the public again, and have set up a cause page. We are trying to get to New Zealand to hold a ceremony for the return of Salmon to our rivers here in California. I have additional information I can send you if you like. We are trying to get the Casino tribes to help out but I wonder if the fishing folks would care to help? We believe that this ceremony may help resolve a broken covenant made between man and salmon that dates back to the 1870’s and was abrogated when Shasta Dam closed their route to the home waters. Anyway, please check out the cause page and forward to your friends who may may believe as we do that we must use our voice to speak for the Salmon. I fished with you years ago on the upper Klamath for trout and enjoyed it immensely. 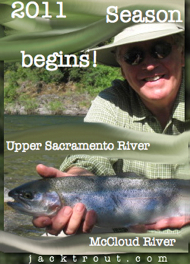 I am now starting an online fishing magazine – NorCalFishingNews.com that I hope to launch soon. I continue to do weekly fishing reports for most of the newspapers in the Bay Area and I will include not only weekly but frequently updated reports on the site, Facebook and Twitter. I think this will provide the most up to date info available for readers. I also will have news, features and conservation issues as well as chat forums. I would like to have you as a regular contributor of updates when you return. I also would like to know if you would be interested in trading some of your photos for placement on my site. There are a number of scenic pics you have taken that I would like to incorporate (McCloud water tubes, Mt. Shasta, rainbow trout). Would you be willing to let me use your credited photos for a display ad and a link to your site? I think you will remeber me–Steve Clark, Chris’s Dad. I hope your winter in Chile is going good. 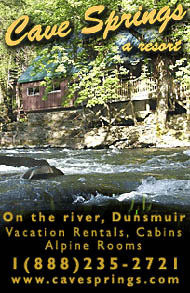 Purpose of my e-mail is: I need to book/reserve 2 back to back days for 2 people to float/fish with you between April and June, plus 3 nights for 2 people at the Mt. Shasta Resort. I am donating this package to a fund raising auction at the annual Pipe Line Contractor’s Association convention which I will be attending in a couple of weeks in Arizona. Following the convention, I will know who bought the package and will find out some dates which will work for them—at that time I will be in contact with you to confirm the dates and make arrangements to pay you. Please acknowledge receipt of this e-mail. Hopefully Chris and I will be able to schedule another trip with you this year as well. to. I am in the office at 8:30am. I was wondering if you could help us out with our “cause”? Maybe, you can imagine fishing for salmon on the upper Sacramento River and the McCloud River, even the Squaw Creek will have some. Please do what you can, thanks. thanks for add my link in your website. Anything you need just ask me. Congratulations Jack & Carola, from Tom and Stephani!! You are now complete, with your other half. I am so happy for you both. You are dear friends and we wish you the love of life and a life of love. Look forward to your return, this April, I guess, and we can have a party. It sounded like you got married in Chile and Argentina? And next in California? You can end up getting married over and over again in every new country you go to. Is she going by Mrs. Trout? If so, what pattern did you use? Again, we are very happy for you. You deserve the best, and now you have it. Congratulations on your marriage! Dody and I wish you both many, many happy years together…and many tight lines to keep the happiness between you growing forever. I wanted to bring to your attention this issue of the salmon and what is about to happen to them, which in turn will happen to all people. We are going to New Zealand to dance for the salmon and pray for their return, since it is the McCloud River salmon that live in the Rakaia River in New Zealand now. They were taken there in 1875 from the McCloud River. However, before we can even get enough money and all the clearences for our regalia, it looks like Senator Feinstein is cooking the books with Westlands and will sell out all the water leaving the salmon to die. I hope you will see the urgency here and figure out what you can do. Please do something! It is more than just salmon that will die for they are the climate changers! Senator Feinstein wants to kill them without even a thought of the imperative job they do for water and all life, without them there won’t be a prayer for pure, clean water. Thank you for a very full and informative Siskiyou Water Network meeting on the 9th. Below you’ll find a meeting report based on the notes I took. If I misrepresented any information please let me know and I will correct it in the next email. I’d also like to remind you that the River Exchange will be hosting a film night as part of their Sustainable Watershed Series at the Stage Door in Mount Shasta 414 N. Mt. Shasta Blvd. on March 4th at 7 pm. The film is “Rivers of a Lost Coast” Narrated by Tom Skerritt (A River Runs Through It). This documentary is for every fisherman and conservationist. Using never before seen footage, vintage photos, archival headlines and exclusive interviews, this film reminds us of the ever increasing importance of wild fish in wild rivers. Donation requested at the door. 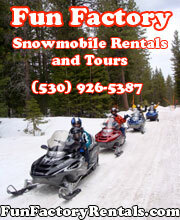 For more information contact the River Exchange at 530 235-2012. In addition, the next topic in California Trout’s Water Talk series will be the Klamath Settlement Agreements. 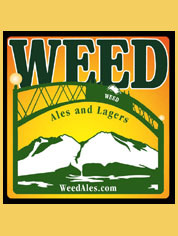 The Talk will be on March 25th, in Mount Shasta, Location TBA. Over 30 people, from private landowners, land managers, conservation organizations, tribal representatives, watershed educators, concerned citizens and even a congressional hopeful crowded into the California Trout office in Mount Shasta for the Siskiyou Water Network meeting on February 9th to hear updates on work going on in the county regarding water. The informal network with the goal of sharing information and fostering cooperation among diverse groups and interests found success as attendees stated that the meeting was informative, inspiring, and actionable. In December 2008 Siskiyou County hired Water Resources Consultant Dr. Sari Sommarstrom with the goal of developing a common vision and taking a proactive approach by developing a water strategy to address water resources in the county. According to an emailed update from Dr. Sommarstrom, Water Issue Identification meetings have been held for Butte Valley in Dorris in May 2009, for the Upper Sac/McCloud in Mount Shasta in June 2009, and for the Shasta Valley in Yreka in July 2009. Minutes from the meetings were sent out to participants for each meeting, some feedback was received, and draft Bibliographies for each sub-basin were circulated. In addition, County water-related policies were compiled in preliminary draft form and Sommarstrom is now meeting with county staff in each pertinent department to ensure that none were missed. Funding is needed for Phase II of the County Water Strategy, which will clarify potential products that the county may want to pursue (such as a Water Resources Guide), identify data gaps, and research strategies used in other rural counties. Siskiyou County Natural Resource Policy Specialist Ric Costales and Dr. Sommarstrom are primary contacts regarding this project. As one of the 29 parties to the Klamath Settlement Agreements, Donna Boyd of California Trout explained that this is a unique and historic moment, as the 10-year mediated agreement is nearing the official signing day in a couple of weeks. There will then be a 60-day period where all the parties can sign. There are two settlement agreements: the KBRA (Klamath Basin Restoration Agreement) and the KHSA (Klamath Hydroelectric Settlement Agreement). The KBRA is a comprehensive agreement to restore the fisheries, habitat and communities in the Klamath Basin, and the KHSA is an agreement that is a pathway for the removal of 4 dams, though not a set course. 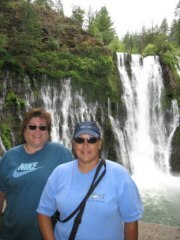 Donna Boyd of California Trout is available as a contact regarding the Klamath Settlement Agreements. Sandra Spelliscy, Executive Director of the River Exchange provided a report on the Upper Sacramento Watershed Assessment. The project, which was meant to be a full scale assessment was one of 6000 projects statewide that was affected by the State Bond freeze. While they lost a year of progress and a quarter of their funding, the project has hung on and the stakeholder group, steering committee and hired consultant are completing an “existing conditions document” which must be submitted by April 2010. The River Exchange will host a public meeting in March to allow for public input and participation. Spelliscy also provided an update on the State’s Integrated Regional Water Management Planning (IRWMP) process. The IRWMP is a way for the State to formalize and channel funding to water management projects (such as repairing infrastructure, restoration etc.) in regions thorough the State. The River Exchange and California Trout submitted an application to the State through the “Regional Acceptance Process” on behalf of a forming “Regional Water Management Group” (RWMG) that includes a broad range of stakeholders including county and city governments, private landowners and nongovernmental organizations. The Upper Sacramento, McCloud and Lower Pit was accepted as a region this spring. As an approved region for the IRWMP program, the next step is waiting for the State to allocate money from Bond sales to the Department of Water Resources. The Upper Sac-McCloud region will then be eligible to apply for planning grants—hopefully this fall. The plan, to be developed by the diverse interests represented in the RWMG, will talk about all needs we have in the region for stewardship, water quality, water quantity, groundwater monitoring, water use and supply in region. With the plan in place, the region will be positioned to receive implementation money for projects prioritized in the plan and could include items such as fixing wastewater treatment plants, studying impacts of climate change on water supply, and so on. California Trout Mount Shasta Area Manager Curtis Knight provided an update on their ongoing Mount Shasta Springs Assessment project. Started two years ago to better understand spring and groundwater resources so we can better manage them, CalTrout has monitored 23 springs around the mountain. UC Davis is providing the lab analysis. The springs are monitored for flow, variation, temperature, and water quality characteristics. Isotope analysis is used to tell the source area and recharge area for a spring, which helps determine the age of the water. The study did five direct tests for age using an analysis of Tritium, (a radioactive isotope). Big springs on the McCloud river aged at 9-14 years old, Big Springs at the Mount Shasta City Park aged at 25 years, Carrick springs aged at older than 25 years, and two springs near each other at Big Springs in the Shasta Valley aged at 20 years and 44 years and with different chemical constituents. The study is revealing the complexity and variability of the springs surrounding the mountain. The hope is to better understand how the springs react seasonally, interannually and to postulate potential impacts from climate change. The draft report of the past two years is being prepared by Aquaterra (the consultant performing the inventory) and will be released on CalTrout’s website in the next few months. Dr. Rene Henery, Research Director for the River Exchange relayed that the Upper McCloud springs mapping and land use investigation, a project funded by the Bella Vista Foundation is readying for release and will be available on the River Exchange website sometime in April. The project mapped springs in the Upper McCloud watershed using existing US Forest Service and US Geological Survey springs layers and aerial photography. The purpose is to develop a coordinated effort to address water quality at the source where springs come out of the ground. Springs are critical to the habitat for the McCloud Redband trout. Categorizing springs based on land use and ownership and looking at aerial photos for 90 different springs will help to prioritize future restoration efforts. Curtis Knight of California Trout explained that while the Shasta river used to be one of the most productive salmon producing tributaries to the Klamath river, last Fall only nine Coho salmon returned to the Shasta River, and they were all male. This means two cohorts of this Federally and State listed species have been lost. There is one more cohort expected this fall, with an anticipated 100 fish to return. Coho are hit harder than Chinook and steelhead because their life cycle requires them to live one year in the river before they migrate to the ocean. Shasta river restoration efforts are focusing on practices to keep the water temperature suitable to rearing habitat for the juvenile fish. 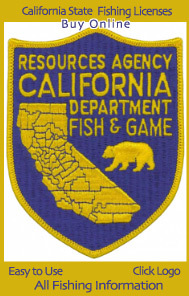 The Department of Fish and Game (DFG) regulates diversions for agriculture and are now implementing an experimental program called the Incidental Take Permit program (a 500 page document) which will hold landowners responsible for their water diversion permits. DFG is working to help ranchers to come together under one permit to cut cost to individual landowners so they can comply with the laws (one permit could cost between 10 and 100 thousand dollars). Landowners are doing everything they can (screen diversions on water diversion pumps, keeping tail water cool, fencing and so on) to comply with the program. Mount Shasta Representatives of the Winnemem Wintu tribe, Mark Miyoshi and Luisa Navejas provided updates on the Tribe’s projects. Their restoration project at Panther Meadows redirected the trail to run with hydrology of area and to accommodate more visitors. They still need to do more trail restoration from their sacred spring to the campground to help mitigate impacts from tourism and to restore the hydrology. This summer they plan to expand the forest order to encompass more land for more protection around their sacred spring. The Winnemem are participating as stakeholders in many projects including the Upper Sacramento Watershed Assessment and IRWMP. For the Watershed Assessment they are working on the pre-contact Winnnemem Wintu story and history that includes ethnographic interviews. Another major project for the Winnemem is the issue of raising Shasta Dam because the raise would cover their last remaining sacred sites, ancestral sites and burial grounds. The BLM (Bureau of Land Management) has sent an assessment to Congress, but budgetary problems keep the issue up in the air. The Winnemem are in conversations with CalTrans and monitoring the raising of Antlers bridge as this action would be a precursor to raising the dam. The Tribe is going to New Zealand in March where the tribe will dance for the Chinook salmon there. Those salmon were descendant of eggs from the Baird McCloud River Hatchery at the confluence of the McCloud and Pit rivers. The Tribe will start discussions with New Zealand to bring those salmon back home. There is a Biological Opinion from the USFWS (US Fish and Wildlife Service) to start reintroducing salmon into the Upper reaches of McCloud. This is the start of a long process and reintroduction would likely require a trap and haul system for bringing adult fish into the upper watersheds to spawn, and for collecting juveniles and bringing them around the dam when they migrate. This system is occurring in Washington State. Andrew Braugh, Program Director for the Fall River Conservancy described the projects of the one-year-old organization. The Conservancy, which seeks to preserve lands, waters and culture in the Fall River Valley is choosing an integrated conservation approach which includes assessing and incorporating economic, political, and social drivers to achieve conservation objectives. The giant spring-fed Fall River is located one hour east of Mount Shasta and the water comes from the Medicine Lake Volcano. The gradient is less than one foot per mile and in the summer its water provides 85% of the water for Pit River dams. The region supports a wild trout fishery, and endangered species such as the Shasta crayfish and rough sculpin. Area landowners have come together to fund the project of the Conservancy and their strategies are: research and science, land stewardship, water quality and community outreach. Curtis Knight of California Trout gave an update on the FERC (Federal Energy Regulatory Commission) McCloud-Pit dam re licensing process. The five-year re licensing process began in 2007 and will go until 2011. FERC requires permits for hydroelectric dams and reviews and re licenses dams once every 50 years. PG&E produces 364MW of power from projects on the Pit (that includes water diverted from the McCloud and Fall rivers). The power produced is important to the Western grid and California’s power needs. 80% of the base flow of the Upper McCloud river is diverted to the Pit river drainage. Historically, the McCloud was a keystone watershed for salmon, steelhead and bull trout. So far PG&E has spent 12 million dollars on studies to determine what their project impacts have been, and there are numerous proposals from agencies and non profits, a new biological opinion to determine what flows would be needed to sustain bigger fish, and various mitigation measures proposed. The Draft EIR (Environmental Impact Report) is due to be released later this year. Two of the coordinators of the Mount Shasta Community Water Rights and Self Government Ordinance, Angelina Cook and Ami Marcus, provided an update on the project. Cook explained that the Ordinance is a grassroots attempt to celebrate Mount Shasta’s water as an important source for California’s water and to fill in the gaps with existing water policy by providing regulations not only for surface water but for the atmosphere and groundwaters as well. The Ordinance is specific to Mount Shasta City limits and would prohibit weather modification (cloudseeding) and any additional water extraction for resale and export out of basin. Marcus explained that a key component in the Ordinance is recognizing that nature has rights. Enough signatures to put the ordinance to ballot have already been collected and the coordinators are continuing to collect signatures through March 8th with the hope that that City Council will adopt the ordinance. Marcus noted that 85% of the homes visited in the signature gathering process are supportive. If passed, the Ordinance would give the City legal standing to enforce the terms of the Ordinance. If passed the Ordinance would follow in the footsteps of over 120 communities across the United States that have passed ordinances to return governance to the hands of the people. Michelle Berditschevsky, Executive Director of the Mount Shasta Bioregional Ecology Center (MSBEC) provided an update on the risk of contamination to the Medicine Lake aquifer from geothermal exploration. Though CalPine Corporation has been trying to develop their geothermal leases for 20 years they have yet to find a commercially viable source. The drilling, which goes 9,000 feet below the surface poses a risk to groundwater resources, especially important because Medicine Lake is the source of Fall River springs. The aquifer has not been mapped, and it is uncertain how much water is provided, but potentially 36 million-acre feet. As the well shafts cut across hydrogeologic boundaries and can break, thus allowing toxic metals and other contaminants to mix with groundwater resources, MSBEC is challenging CalPine in the 9th Circuit court on March 10th 2010. Dea Knox, the new Program Manager for the River Exchange is the primary contact for the Upper Sacramento Headwaters trail restoration project at big springs at the Mount Shasta City Park. They are currently working to finalize the designs for the improvements that will include a trail that meanders along the stream and to secure the necessary environmental permits before the project goes to bid. 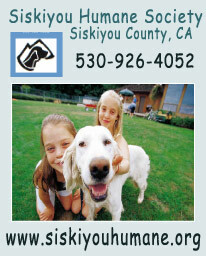 For more information about the Siskiyou Water Network, contact Meadow Barr at 530 859-1411. The Siskiyou Water Network is a project of California Trout. 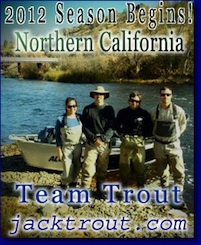 California Trout is a non-profit conservation organization dedicated to restoring wild trout and steelhead waters throughout California www.caltrout.org. Jack – Anyways, I’m glad we met and became friends. You are truly a unique individual as most trout bums are. We’ll always be friends. My wife and I will be in the Lake District of Chile March 15-19. We expect to leave Santiago Sun. the 14th by bus or train. Would probably head back to Santiago the 19th or maybe the 20th. I am interested in the one-day float trip described below. Given that we have the whole week to work this into our plans, please advise as to where we should go, how to meet up, etc. Thanks and Gracias. I will be staying at the Hotel Solace in Puerto Varas, arriving Sunday afternoon Feb 21. I have my own equipment and would like to have a guide for a half day,(4hours) on Monday morning Feb 22nd. I would like to do river fishing for trout. Do you have a guide and how much would it be? I am planning on visiting City of Mt. Shasta in April. Do you have a hiking schedule or to you plan by party? It’s only me, so I am hoping I can join a hike. I just heard back from Christian last night and he went ahead and posted our ad and did a really great job. I paid him all ready for the ad design and I also went ahead and made the transfer into your PayPal account. Could you just let me know when you have received it, so I can make a note in my records? 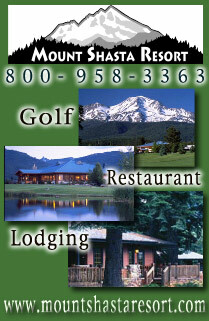 Thanks again for everything and I appreciate the opportunity to partner with you and MTShasta.com! Thank you for your response. I was able to track down Jack and Carola. They are OK, though shaked up pretty good, literally and figuratively, and many in the U.S. were greatly relieved to hear they escaped injury. Thanks again for following up on this. We just wanted to follow up to see whether you had heard any further information on Mr. Trout and his family. 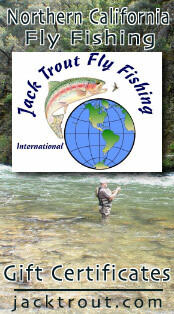 Jack Trout, owner, operator of Jack Trout International, who operates tourist/fishing trips in Chile. He lives in Chile, with his Chilean wife, Carola. Jack is known world-wide and there is intense interest in the United States about his condition after the earthquake. He has a business license to operate in Chile, and I believe he also has dual citizenship with Chile and U.S.
His e-mail is info@jacktrout.com. His phone in the U.S. is (530) 926-4540. Thank you for any help in this difficult time. I just left you a couple of voice mails, but wanted to be sure to Congratulate you on your marriage. My daughter got married the same day! I am SO glad that you are OKAY! I was concerned after the Chile earthquake. I am so proud of you, don’t forget, I knew you when!!! Give me a call if you ever have a chance. We are planning a combined 1985-1986 Class Reunion this fall in Portola. I will update you as I hear more. It is being done by Brandee, Melinda, Antoinette, Kristen Rodebush, and I. It isn’t going to be a huge production, but time for us to get together for something besides a funeral, yeah? I think of you often and would love to hear from you. Take care and again, Congratulations! I am thrilled for you! Hope you and C.T. are out of harm’s way. Not a nice turn of events for you. Jack: Michael Otvos here, I bought your flat bottom boat a few years ago. Our thoughts and prayers are with you and Carola. Being a man of action I am sure your days are very full. We are strecthing our hearts and arms out to all folks we know in Chile. Glad you and Carola(wife….yeah) are safe. Hope to see you this spring. We will tip a pint at the Goat. Best Wishes!!!!!! Had a good trip to Yelcho though. Fished out of Puerto Piedra one day with good results and then went down to Puerto Cardenas for three more days and fished out of my tube at the place by the football field you told me about. Awesome advice! Never got a monster but got lots of really nice trout to about six or seven pounds. Incredible place! I will call you as soon as I am able. Be well and take care, and please give my best to Carola as well. Thanks for update, I would live to fish if we can mix pleasure with her work in Chile. Will let you know if we are going or delaying. When do you return to states? Jack—saw your note on your weblog that the two of you are ok—I was checking the map the day it happened–looked like you were far enough south from the quake center that it shouldn’t have done to much major damage to your area but I was concerned about the tidal wave—unbelievable the distruction from both—the fishing trip went over big at the fund raising auction—an owner and President of a major pipeline construction company bought the trip—really a nice man by the name of John Allen—he plans to bring his 13 year old son who loves to fish–he ask me if I thought it was a good trip for his son—I told him that he would have the time of his life, especially being from Houston. Take Care ! My prayers to you and everyone you know in Chile. Have the strength of your mountain and the power of the sea with you today. Are you guys OK? The news makes some things look really bad and other things not so bad. Hope you guys are safe and congrats on the wedding. I’ve not had a chance to speak with my sister who is out of the country about this, as she and her grandchild might join us. But independently I need to fold it into my total cost for the entire trip and let you know. I think what you’ve offered is certainly fair and would be a great adventure for us. One aspect I’m trying to reconcile with two kids that have grown up with video games is their ability to stay tuned into this over the course of a day! I should be able to lock something in in the next week. Thanks for the opportunity.